A well respected Member for many years and a protagonist in our Association. With a passion about our industry and for SANA, she continues to promote our industry where ever she can. As a GCA Member her garden centre won numerous awards including Regional Garden centre of the Year as well as various accolades from the Lowveld business community. She has been actively involved as SANA Forum Chairperson for Mpumalanga where she held this position for more than six years, ensuring that the SANA presence in the region remained strong. Her efforts to grow gardening as a pastime lead her to a regular local radio spot for many years. As a founder Member and Chairperson of Garden Pavilion for many years she has assisted the whole industry in receiving much needed exposure and raising the level of expectation for garden centres from consumers continually. Always a strong supporter of SANA activities such as the Trade Days and Conventions add to her presence in the green industry. 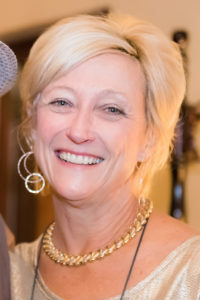 Her role has changed recently as she moved into the family growing business where she now continues to mentor the next generation. This award recognises a leader, her passion, her love for our industry and the contribution she has made to our Association that we are very grateful for. Through Margaret’s willingness to share her knowledge, natural remedies, the healing properties of herbs and tissue salts, she was a pioneer in developing an entire sector of herbs and herbal plants for the green industry. Margaret Roberts qualified as a physiotherapist and began experimenting with herbs to nurse an allergy-prone child. By 1978, her own personal experiences and success with a number of herbal remedies had convinced her to make herbs – and the study of their medicinal value – her life’s work. In the early 1980s, she established the Margaret Roberts Herbal Centre near Hartbeespoort Dam. The farm became the centre of Roberts’ work as she began to grow, test and discover more about medicinal herbs, a pioneer in the field. Roberts later partnered with a number of SANA members to develop branded herb seed packets, organic insecticides, fertilisers and even brought important plants, such as tea tree and stevia, into the market place. She also developed a unique range of natural foods, gourmet spices, salts, vinegars, oils, natural cosmetics, potpourri, soft furnishings and earth-friendly garden products. A prolific writer, Roberts published over 30 books on herbs, flowers, herbal teas, tissue salts and lavender and was reportedly working on several new offerings at the time of her passing. She shared her vast knowledge of herbs not only through her books, but also through garden talks to consumers at garden centres. 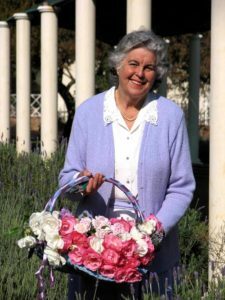 Maragret Roberts was and will remain an inspiration to many industry leaders and gardeners for years to come. This 2018 Gold Medal Recipient has had a long distinguished career in the nursery industry and epitomises all the characteristics of a knowledgeable, hardworking and well-liked member of the SANA community. In 1980, he became a full time grower on his property at Orange Farm and in 1983 opened a retail nursery in Rifle Range Road, Johannesburg. As a garden centre retailer, he served on the committee that launched Plant Plan – the country’s first retail nursery plant marketing organisation.. Together with a group of enthusiastic garden centre retailers, Plant Plan was eventually to become SANA’s Garden Centre Association. 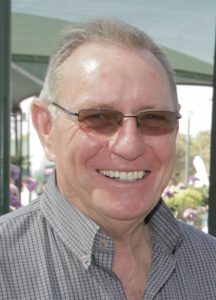 In 1990, he – alongside Jacques Malan from Malanseuns, Gordon McLachlan from Rosendal and Roy Trendler from Sunkloof – established a committee that organised the first meeting of the SANA’s Growers Association. In 1992, his growing operation in Orange Farm was expropriated by the government, he sold his garden centre in Rifle Range Road and moved his wholesale nursery to Hartbeeshoek in Skeerpoort. Over the next 20 years, he continued to be an active member of the SANA Growers Association, importing and growing many new and rare plant varieties to the benefit of the whole industry. 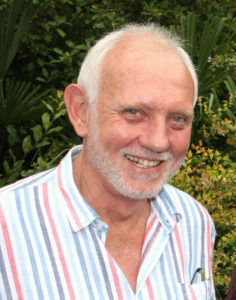 As an active member of the SANA Biodiversity Team, he was a major influence on the government decision NOT to pursue a policy to remove lone gum trees in the Karoo. He also convinced government that removing the willows along the Vaal River would cause catastrophic soil erosion. On account of his efforts, willows were not listed as invasive species in South Africa. He has supported the SANA Trade Days for twenty years as an exhibitor and is quick to give advice, support and guidance to any SANA member, the Exco and office staff. He is still actively involved in SAGIC, is a long standing SALI Supplier Member and was a regional judge for the SALI awards over many years. A hardworking and knowledgeable member of the SANA community, this award recognises how his passion for plants, his family and the SANA community has benefitted our industry for nearly 40 years. A loyal supporter of SANA’s projects and events through regular attendance of Trade Shows. He has served within the SANA structures on and off, most recently as Operations Portfolio holder from 2008 – 2010. He was an active member of the marketing committee who initiated and laid the foundation for our very successful Life is a Garden Campaign and still regularly contributes information. He is involved in invasive species meetings with government and is passionately keeping our industry’s best interests at heart. Always willing to assist with advice, guidance and offering his time and resources to SANA as well as supporting charities such as Food and Trees for Africa. This award recognises a respected, selfless person of great integrity.